Rick the royal raccoon ran 'round the raspberry bush in Rhode Island. 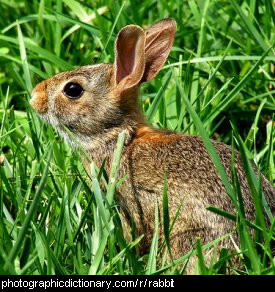 The rabbit is a small animal found in many parts of the world. In Australia, rabbits are the single worst introduced pest. Rabbits make good pets, if they are properly looked after. 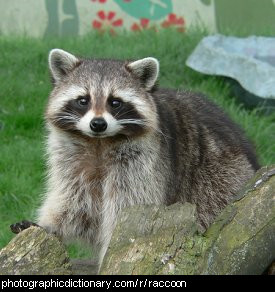 A raccoon is a medium sized animal native to North America, although they have been spread to Europe by people. They prefer to live in forests. Raccoons like to sleep during the day and hunt at night. They eat insects, plants and small animals. A baby raccoon is called a kit. 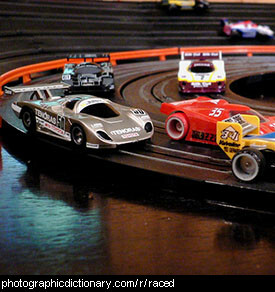 A race is where two or more people or animals try and take the shortest possible time to travel a set distance. The winner is the fastest. There are lots of different kinds of race. 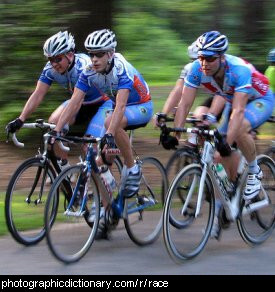 The picture is of some people racing each other on bicycles, but there are also horse races, dog races, running races, car races and of course anything that can move can be raced. Raced is the past tense of race. 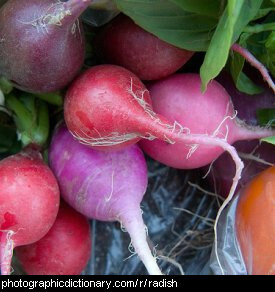 For example, "the children raced each other to the corner". A rack is a set of shelves that are not solid. 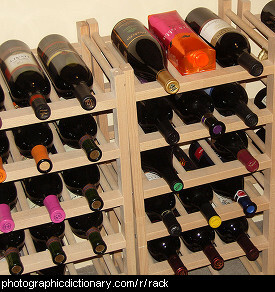 Most racks are made from a simple frame of wood or metal. 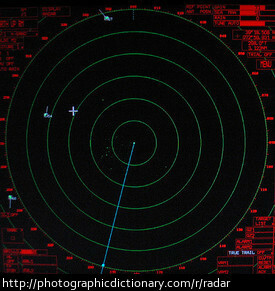 Radar is a device that uses radio waves to determine the range, altitude, direction, or speed of an object. 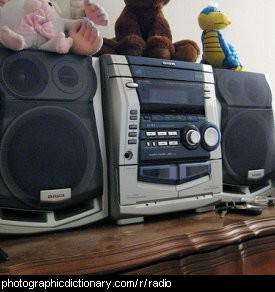 A stereo, or radio is a device for playing recorded music from tapes, CDs, or listening to music that is broadcasted through the air on radio waves. A raft is the most simple form of boat. Rafts can be made from anything that will float. 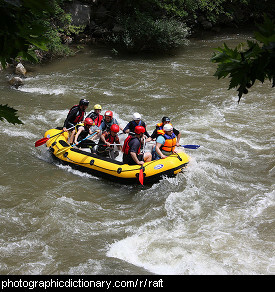 The raft in the picture is a purpose-made inflatable raft. 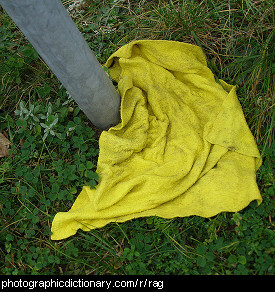 A rag is a small leftover piece of cloth, usually used for something like cleaning with. Some people use rags to make things from, like rag dolls or quilts.